Our Scissor Lift course is delivered by a trainer with industry experience, and covers the skills and knowledge required for the safe operation of a Scissor Lift. This course covers such topics as planning and preparing for operating a Scissor Lift, conducting work activities from a Scissor Lift (including how to conduct the pre-start, pre-operational and post-operational checks), carrying out machine operator maintenance, and cleaning up. Although this course is not nationally recognised, it covers the proof of training requirements for employers as per the Victorian OHS Act 2004. (1) An employer must, so far as is reasonably practicable, provide and maintain for employees of the employer a working environment that is safe and without risks to health. (e) provide such information, instruction, training or supervision to employees of the employer as is necessary to enable those persons to perform their work in a way that is safe and without risks to health. 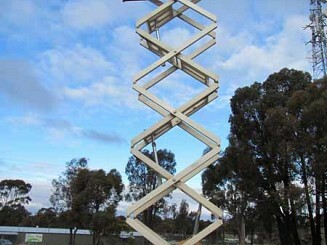 Participants are required to study the Scissor Lift Study Guide & complete the Review Questions prior to the course. This puts everyone attending the course on the same base level of knowledge. Participants are not required to complete a written assessment for this course. 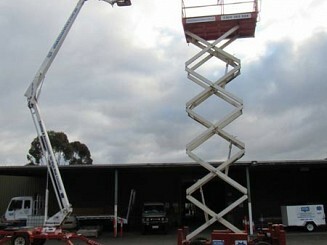 Their Review Questions will go towards the theory component of the course, and the trainer will be asking participants questions throughout the training to confirm that they have the knowledge to safely operate a Scissor Lift. 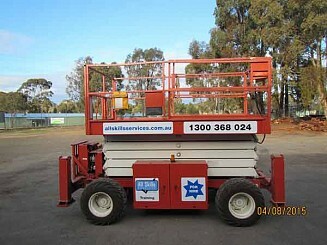 They are also required to complete a Practical Assessment operating a Scissor Lift. On successful completion of these assessments, participants will be issued a Certificate of Completion, and a photo ID Operator Competency Card. Please note that this course does not cover you to operate a boom-type elevating work platform. If you are operating a boom-type EWP with the capacity to extend up over 11 metres, then you required to have a High Risk Licence Class WP. Please see out EWP High Risk Licence course page for details. Participants are required to bring their Construction Induction OHS (White) Card, if they have one. 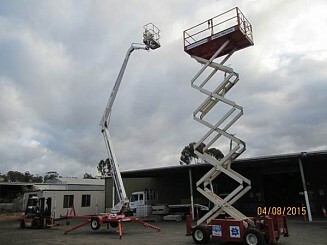 Participants are required to bring their Scissor Lift Study Guide & completed Review Questions to the course.